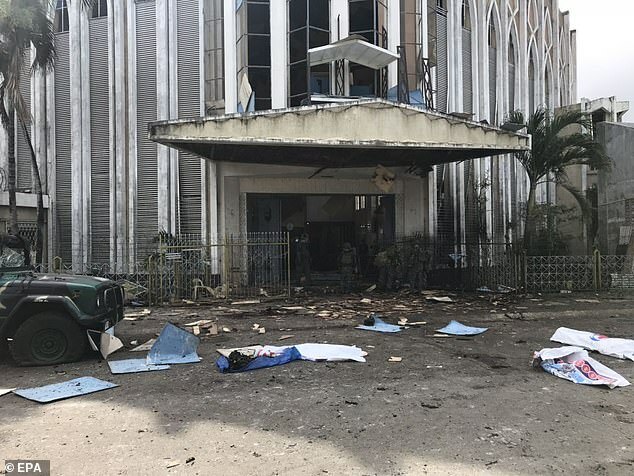 The Philippine government says it will 'pursue to the ends of the earth the ruthless perpetrators' behind bomb attacks that killed at least 21 people and wounded dozens during a Sunday Mass at a cathedral on a restive southern island. 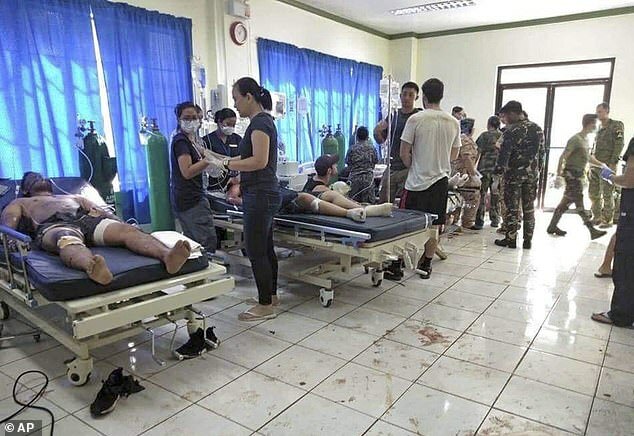 Philippine National Police chief Oscar Albayalde said that at least 21 people died and 70 were wounded. 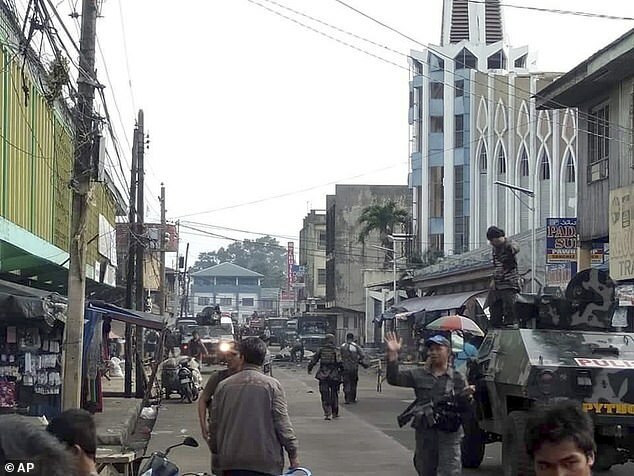 Police and military reports said the casualties included both troops and civilians. 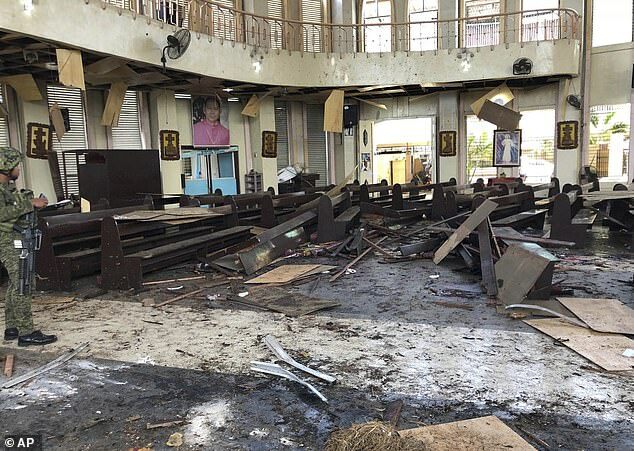 Photos on social media showed debris and bodies lying on a busy street outside the Cathedral of Our Lady of Mount Carmel, which has been hit by bombs in the past. Troops in armored carriers sealed off the main road leading to the church while vehicles were transporting the dead and wounded to the hospital. 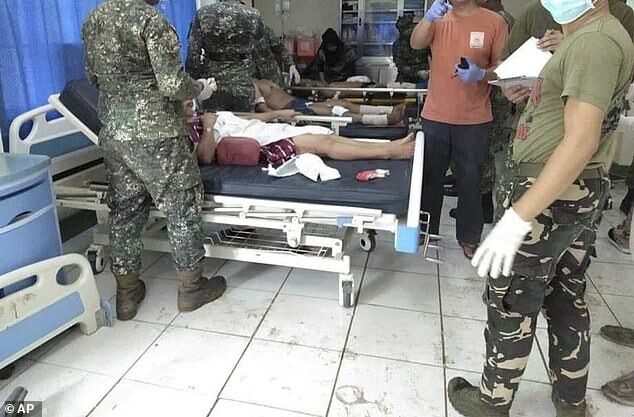 Some casualties were evacuated by air to nearby Zamboanga city. 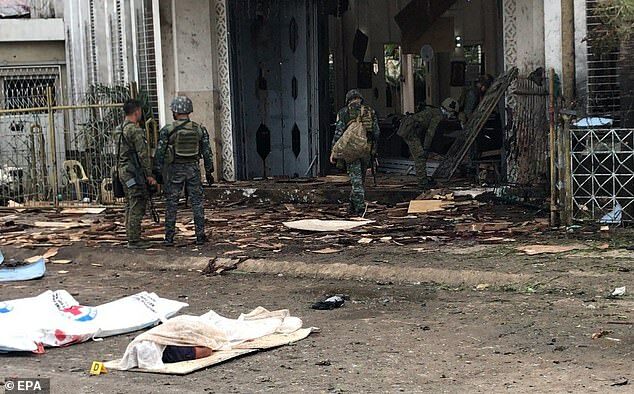 'I have directed our troops to heighten their alert level, secure all places of worships and public places at once, and initiate pro-active security measures to thwart hostile plans,' said Defense Secretary Delfin Lorenzana in a statement. It says authorities are now investigating the attacks. No one has immediately claimed responsibility. 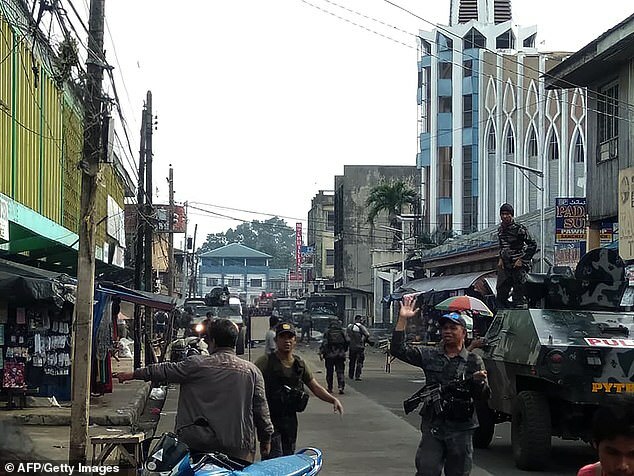 Security officials were looking 'at different threat groups and they still can't say if this has something to do with the just concluded plebiscite,' Albayalde, the national police chief, told ABS-CBN TV network. 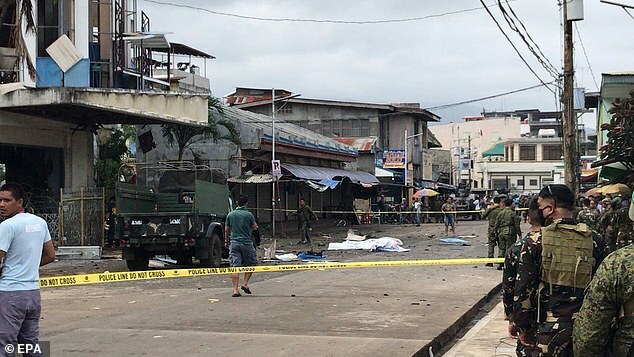 The blasts came nearly a week after the government's plan to create a self-administered area for the Muslim-dominated parts of Mindanao was backed by 85 percent of voters in a referendum last Monday, paving the way for a three-year transition towards elections for a legislature that will choose an executive. 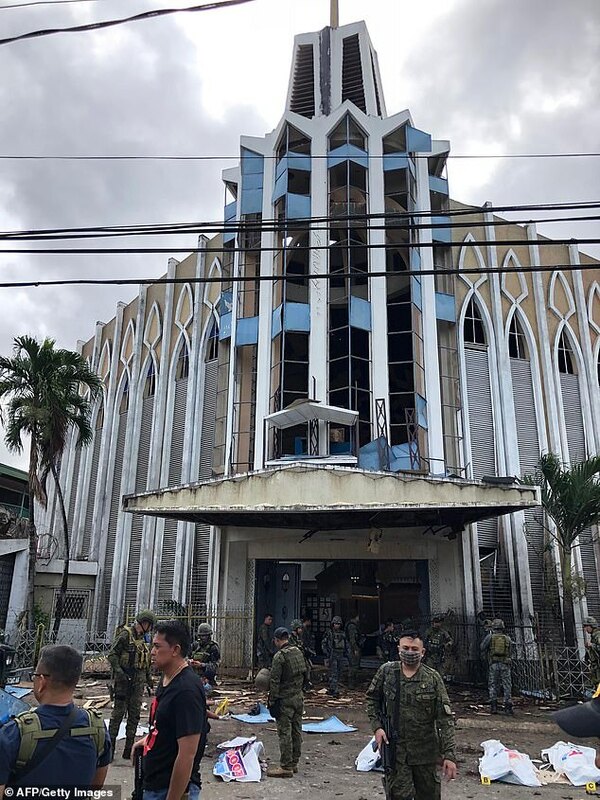 Muslims in the predominantly Roman Catholic nation endorsed a new autonomous region in the southern Philippines in hopes of ending nearly five decades of a separatist rebellion that has left 150,000 people dead.